5 left as of 3-2-2018 Watch the ever changing light display through our Fiber Optic Party Centerpiece (White). Choose from one of 3 settings: fast flash, slow flash, and constant on. Great for Disco parties to Hollywood, Mardi Gras to Graduation, Birthdays to Anniversaries, Christmas to New Years. 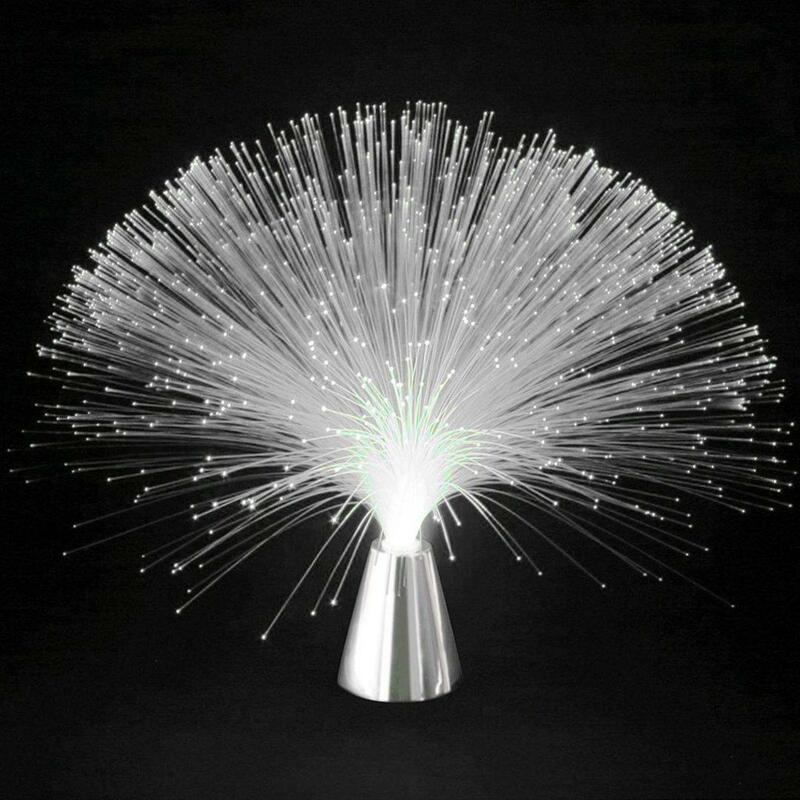 Fiber Optic Party Centerpieces with White LEDs are an essential part of every event. They are perfect when entertaining guests at multiple tables such as at weddings, parties, and dining occasions. Party centerpieces operate at the push of a button. They have three settings: fast flash, slow flash, and constant on. Pick up your party centerpieces today and check out the rest of our wonderful party products. Height: Approx. 13.0 in. , 33.02 cm. Width: Approx. 18.0 in. , 45.72 cm. Stand Height: Approx. 3.6 in. , 9.14 cm. Stand Width: 3.25 in. , 8.26 cm.